1. A study on the role of antibiotics versus garlic in the management of Mycobacterium tuberculosis. 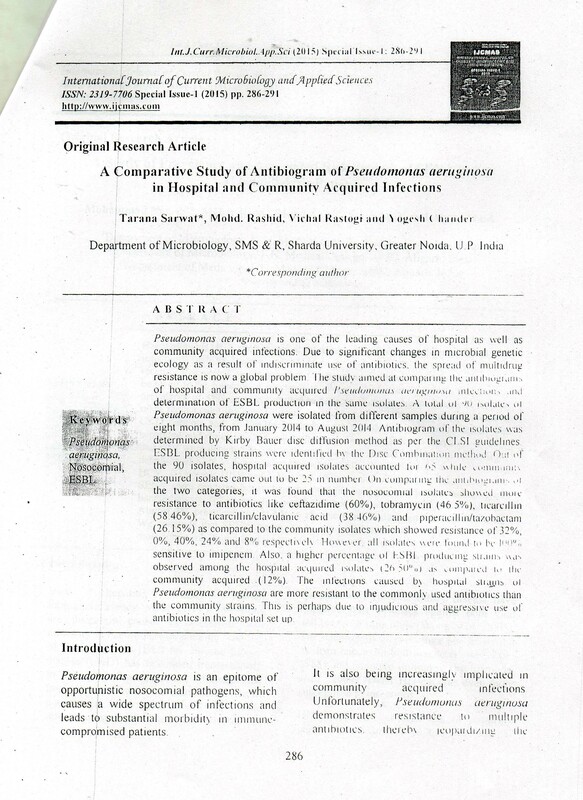 Mushir Ahmad,International Journal of Basic Medicine and Clinical Research, 2014; 1(4):76-83. 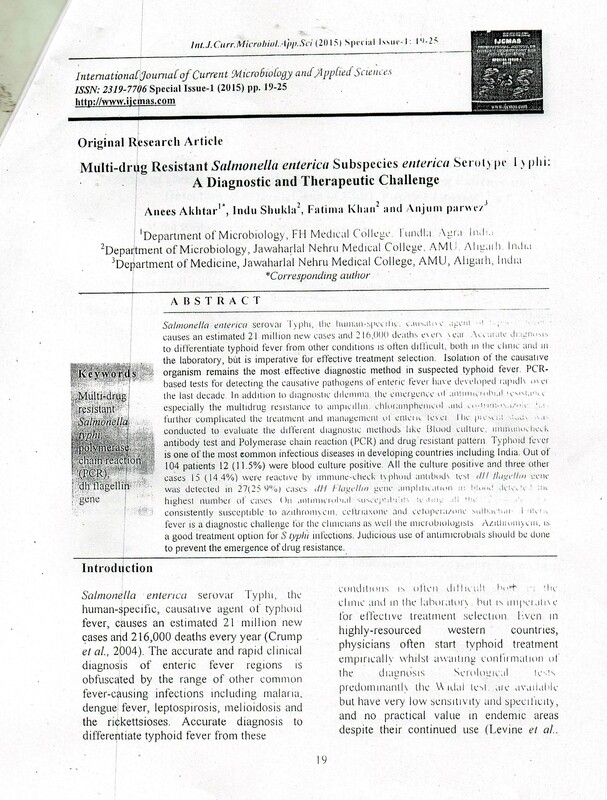 3.Ischemia Modified Albumin and the effect of Bosentan in acute Mesentric Ischemia; V.S. Reddy, Himanshu Madan, Arvind Bharti. Nobel Medicus : 2014; 10 (1) 100-101. 8 Comparison of urinary protein creatinine index in normal and heavy exercise performing individuals Ijen Bhattacharya, Anoop Kumar, Akash Gupta, Tabassum Yasmin, Naved Ahmad , Mani Goel Int J Med Sci Public Health. 2014;3986-989. 12. 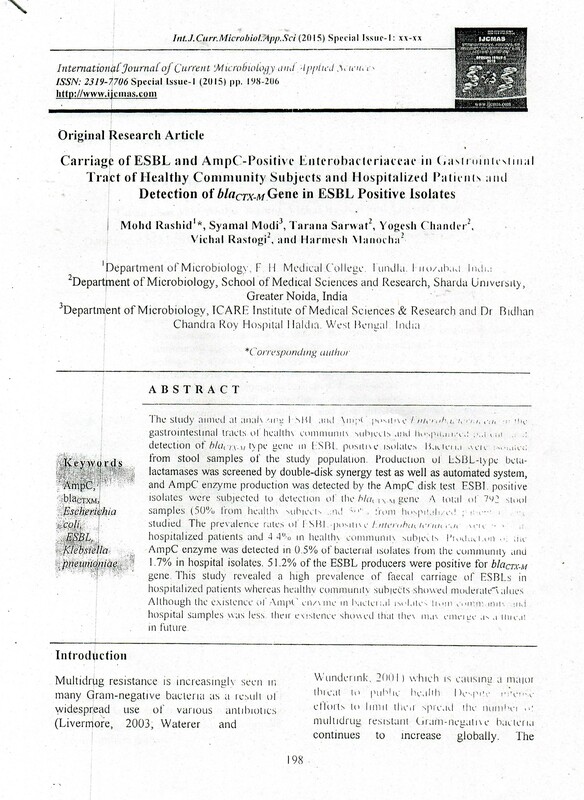 Assessment of serum bilirubin and hepatic enzymes in Malaria patients; Jha Sudha, Shrestha Shailaza, Gole S.,Gagandeep; International Journal of Biomedical and Advance Research, 2014; 5 (3). 14. 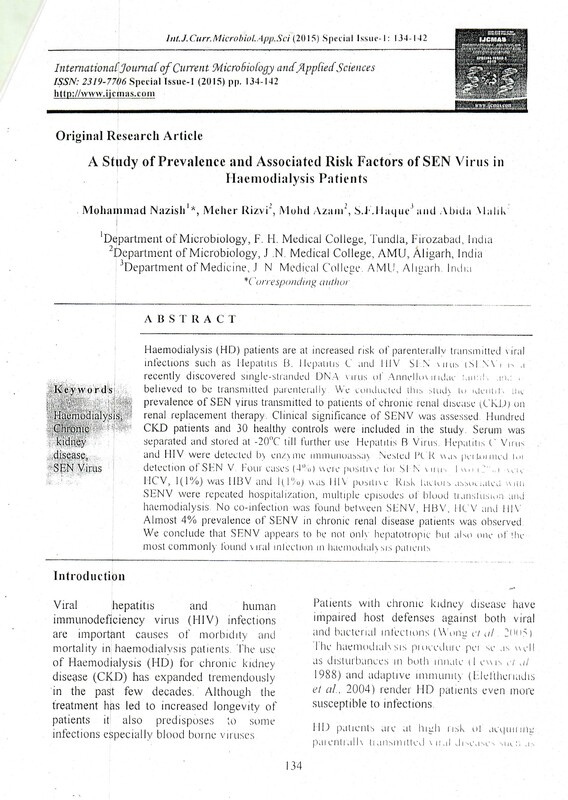 Study on the levels of oxidant and anti-oxidant enzymes in hypertensive patients; Dr. Sudha Jha,Ms.Shailaza Shrestha, Dr. H Perchwani, Rahul Rai; International journal of medical sciences and public health; 2014; 3(9).